(SPOT.ph) To say that it's hard to commute in Metro Manila is an understatement. 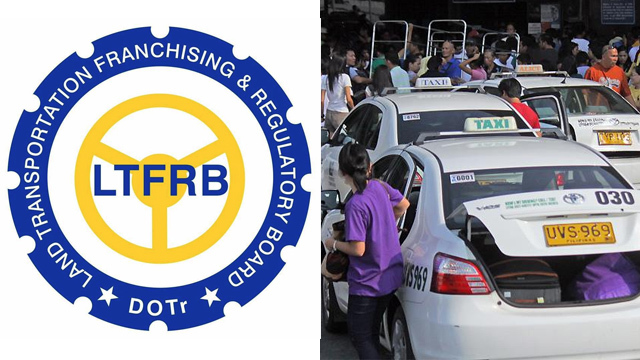 It just got worse after the Land Transportation Franchising and Regulatory Board started its crackdown on Transport Network companies like Uber. We're now back to dealing with taxi drivers who are rude and reckless and charges way above the metered-fare just because it's traffic/raining/far/[insert another excuse here]. How many taxi horror stories have we seen online? 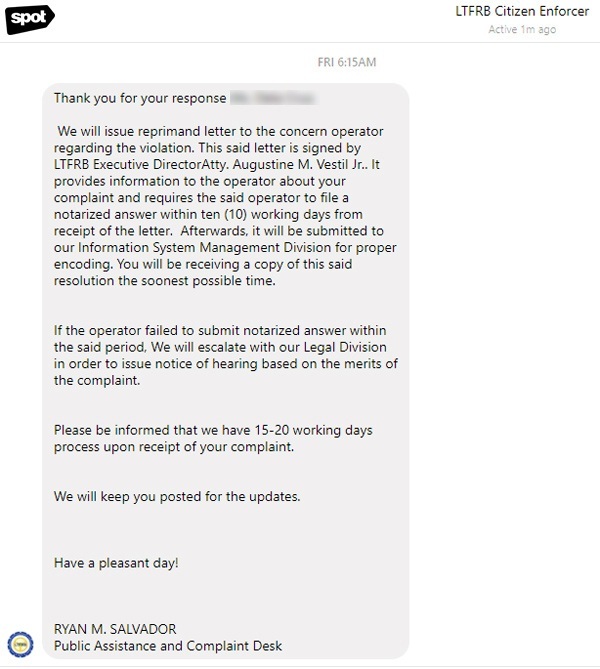 Maybe we should start barraging Land Transportation Franchising and Regulatory Board (LTFRB) with our complaints, especially since their so-called Uber cases could easily apply to other public utility vehicles. It's not a guaranteed solution, but it's worth a try. 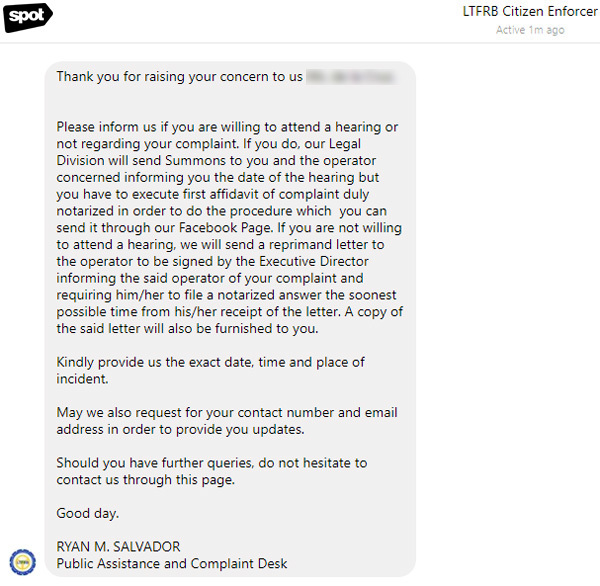 LTFRB's Facebook page is very active, so you can try that first if you don't want your phone call to be passed around or, worse, be told to visit their office instead. It's best to take note of the taxi's plate number, but if you can, try to get the driver's name (which you can often see on the identification card hanging from the rear view mirror) and operator (which you can see painted on the door, both inside and outside). 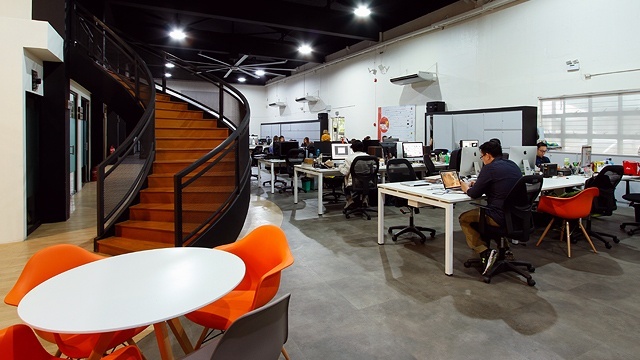 Your complaint should also have the exact date, time, and place of incident. Keep your message short and sweet. 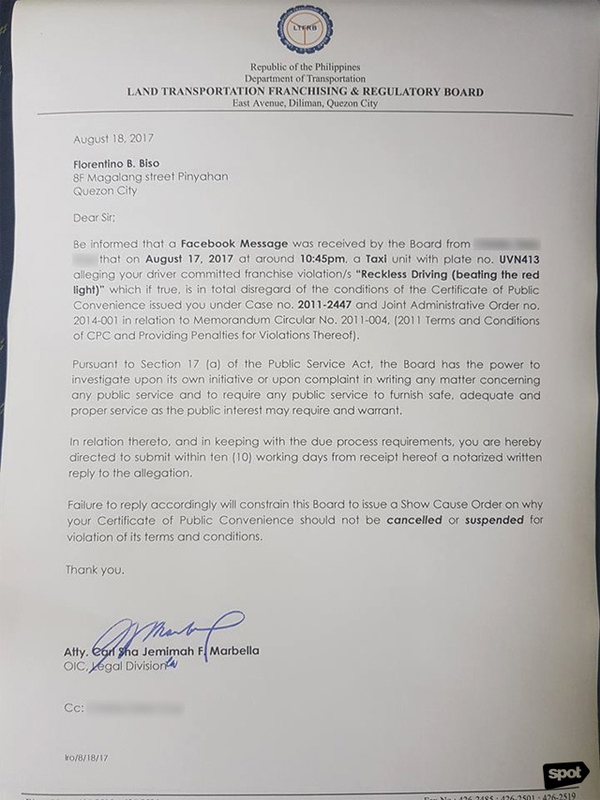 Since no one has the time in the world to attend a hearing (given the current traffic situation), you can opt for the reprimand letter and pray to the gods that someone would do something about it. 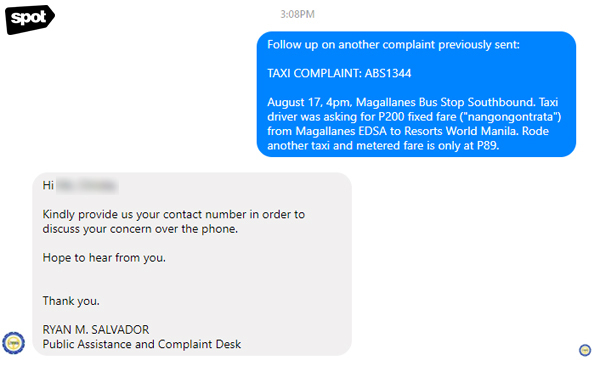 They will later send you a copy of said reprimand letter that they'll issue to the taxi operator. Sometimes, they would overlook your other complaints so you may have to follow up. Some cases, like having a driver ask for a fixed fare, are not enough to easily warrant a reprimand letter and you may have to discuss it over the phone. 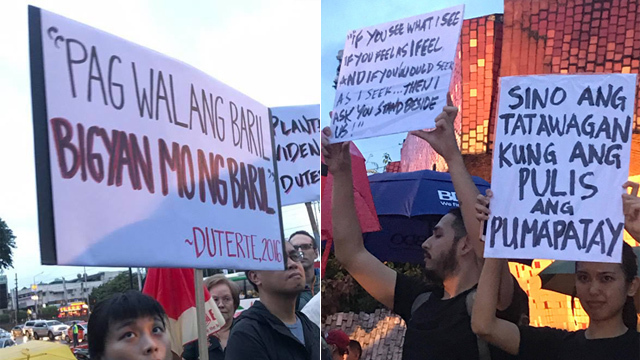 Another option is to send them a message through Viber (0917-550-1342 and 0998-550-1342), which will again save you more time (and effort). 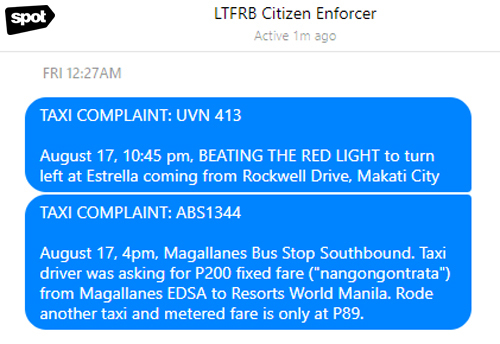 You can also try calling 459-2129 or sending an e-mail to complaint.ltfrb.gov.ph@gmail.com. But, if you're really up for it, they say that their hotline number (1342) is open 24/7. LTFRB's new 24/7 hotline number is 1342. We also have TEXT/Viber hotlines: 0917-550-1342 & 0998-550-1342. Thank you. Good luck and happy complaining!